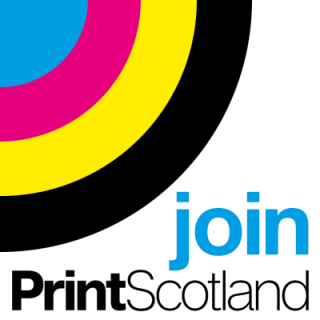 Compass Print Holdings Ltd was established in 1974 and is the largest privately owned print company in the North East of Scotland, employing 29 staff. We have constantly reinvested in cutting edge technology to provide our staff and customers with the best equipment available to produce quality print on time, every time. Our core business is totally customer focused, producing the complete package of management, production and supply of corporate print, signage and exhibition displays. Our goal is to utilise this state of the art technology in the production of corporate documentation. To partner our clients, sharing experiences to best produce their corporate needs and to provide a product and service that exceeds client expectation. Our clients tell us they like to work with us because we don’t just do the accepted, expected thing. We put in more effort, we offer more advice, we share our experience and we go the extra mile. On the surface, one printer can seem pretty much like another. But some will always follow while others lead. The way we look at it, a new business card is just as likely to hook your next client as a full colour brochure or exhibition stand. So if we can suggest a technique or a style that will make your project more memorable, we’ll tell you about it. Then you choose the direction you want to take. Distance is no object in this inclusive process, thanks to our efficient online proofing system via the internet. Our portfolio of successful print jobs is extensive. From single colour business cards to the most complex corporate brochure, from safety labels to exhibition displays, we do it all. From the moment we receive a project we take full responsibility for it until satisfactory completion. We ensure the work is perfect – finished, packed and delivered, on time. For 35 years Compass Print Holdings Ltd has been the leading exponent of quality printing in the North and North East of Scotland. One of the main factors in our success has been our continual investment in the most advanced print technology available, operated by fully trained print professionals. To illustrate our vision, we recently extended our portfolio to include Digital litho and a new Signs and Exhibition division. Compass Print Holdings Ltd have FPAL accreditation and are willing to participate in feedback reports as a performance enhancement tool. From the moment you hand over a print or exhibition / signage / display project to us, we take full responsibility for it, and while we are making sure your project is perfect – finished, packed and delivered on time – you can get on with the job of running your business instead of running to stand still.